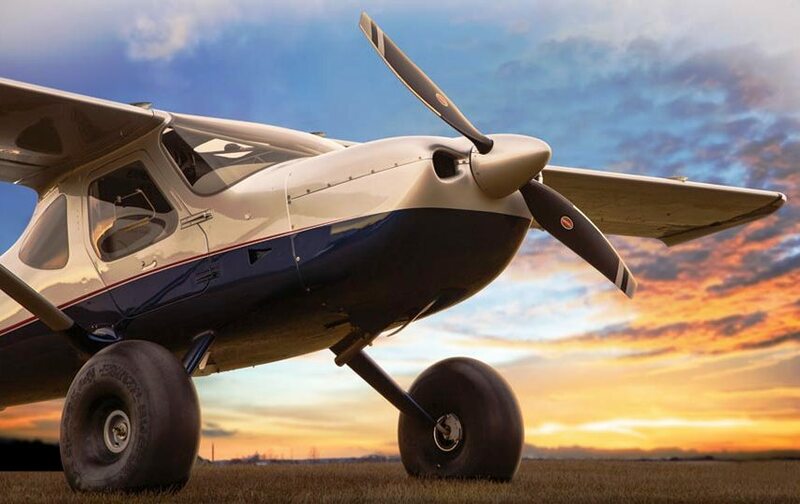 Piqua, Ohio, April 20, 2015 – Hartzell Propeller is launching a Trailblazer Sweepstakes with the winner choosing between an expense paid back country flying adventure or a seaplane rating. The Trailblazer Sweepstakes is open to pilots age 21 or older with a current medical endorsement. Partners for the Hartzell Propeller Trailblazer Sweepstakes include the Recreational Aviation Foundation and the Seaplane Pilots Association. The Recreational Aviation Foundation was founded by a group of Montana pilots who realized the threat of recreational airstrip closure was of national concern. The Seaplane Pilots Association is a non-profit organization serving the needs of the seaplane community throughout North America and globally. Qualified pilots can register online at HartzellProp.com/Sweepstakes or in person beginning at Sun ‘n Fun, April 21-26, in Lakeland, Fla. No purchase is necessary to participate. Other opportunities to enter the Trailblazer Sweepstakes in person include the Great Alaska Aviation Gathering, May 2-3 in Anchorage, Alaska, the Valdez Fly-In and Airshow, May 9-10, in Valdez, Alaska, and the first few days at EAA AirVenture, held beginning July 20 in Oshkosh, Wisc. The winner will be selected at random and announced at the Oshkosh show on July 29. The Hartzell Trailblazer’s all carbon fiber construction features a field replaceable nickel-cobalt leading edge, ensuring it can withstand demanding back country and bush flying. The carbon fiber structural composite construction is more than five to 10 times stronger than beech wood and spruce, respectively, and includes Hartzell’s state-of-the-art wedge shank blade retention design. The Recreational Aviation Foundation (RAF) was founded by a group of Montana pilots who realized the threat of recreational airstrip closure was of national concern. They also recognized that there was the need for a unified effort by pilots everywhere to protect public recreational opportunities. The RAF is dedicated to preserving existing airstrips and actually creating new public-use recreational airstrips throughout the United States. The RAF is recognized by the IRS as a non-profit 501(c)(3) charitable organization. The Seaplane Pilots Association (SPA) is a non-profit organization serving the needs of the seaplane community throughout North America and globally. Incorporated in 1971 and guided by a 10-member Board of Directors, the primary mission of the Seaplane Pilots Association is advocacy. Its mission is to be the voice of the seaplane community and to represent the interests of seaplane enthusiasts on the federal, state, and local levels. It includes ensuring fairness and equality for seaplanes to share public waterways with all other user groups. Other key elements of the mission include safety, education, and environmental stewardship.